Tales of the Lost is Richard Howard's second book of short stories that bring us face to face with some very strange encounters and some unexpected twists along the way. Each story inhabits its own individual world and is told in a very direct style. As the author says in his introduction, the themes for these later stories are darker in mood than his earlier works. The longest of them, Flora's Return, was inspired by what the author regards as "the finest ghost story ever written", The Turn of the Screw by Henry James. These new stories range from realms of complete fantasy to modern day settings. Some are ghost stories, others are just scary, and most have a twist in the tail. In each one there is a character who, in one way or another, is lost, hence Tales of the Lost. Story-telling has a long tradition and is as old as humankind, fulfilling many different functions. Some are very dark ~ think of the popularity of 'murder mysteries' or the many dystopian tales from Orwell's 1984 to The Hunger Games. Stories can serve to express anger, grief, hope, wish fulfilment or any emotion you care to name. So long as the internal logic of a story is consistent, then even the most fantastic situations can be made believable. From fairy tales to science fiction, stories have been written that allow us to enjoy feeling scared in a safe environment. This collection will not disappoint. I was blown away by this collection of tales. I loved that each story was about being lost in one form or another, and yet each story was so unique! Each tale was so wonderfully written. The pacing and plot of each were so well done and the characters were perfectly developed for their tale. I really loved that a few of the stories came full circle, which I am a total sucker for. Many of the stories also had twists that totally threw me for a loop or made me gasp. More than once, when I finished a story that had a twist, I had to set the book down to really digest the story. In many of the tales, the suspense kept me on the edge of my seat. I just love when authors drop in a sentence like this: He looked over the brief introduction he'd just written for a talk he was due to deliver in London two weeks later ~ a talk he would never give. This collection was absolutely incredible. I loved the majority of the stories so very much. There was only one story that was so-so for me simply because of the topic. The stories in this collection are stories that will certainly be sticking with me for a long time. I will definitely be re-reading soon! If you enjoy short stories of a wonderful variety that will keep you on the edge of your seat, you need to pick up this book. I found this collection to be every bit as good as the author’s 2007 first volume of supernatural short stories entitled Strange Tales In Fiction And Fact. I was again struck by how even several pages into a Howard story you can’t necessarily fathom to where he might have transported the reader by the end, or indeed just a few pages further on, such are the unexpected twists and turns. For example, I was twice absorbed in what I assumed was a straight-ahead detective or mystery tale, only to find myself suddenly jolted into something quite dark and otherworldly. The stories are varied in length, pace and their time period, whilst subject matter traverses both the paranormal and what I might call ‘dark fantasy’. Many seemingly incidental phenomena in the stories cleverly have their significance revealed later on, and one can appreciate these stories for both the finer details and their larger, more subtle message. In most collections of shorts one usually finds a few 'fillers' that were not memorable, but for me every one was a page-turner leading up to a final, inspired twist. The longest story here, Flora's Return is the author's own sequel to The Innocents, the 1961 gothic horror film directed by Jack Clayton (based on the novella The Turn of the Screw by Henry James). I think anyone who enjoyed that BAFTA-winning classic will not be disappointed with this sequel, and thus has good reason to purchase this book - with all other stories being an added bonus! All in all, thoroughly enjoyable and highly recommended. I challenge anyone to read the first few lines of one of Richard Howard's short stories and to then resist the strong urge to continue reading, normally right through to the end in one sitting. This second collection of the author's little gems is every bit as good as the first. His fluent, concise writing style draws you in, and like good film music, the writing soon becomes transparent, leaving you immersed in the plot, eager to discover more, just as if the action were happening to you, rather than you reading it. Elaborately woven dreamscapes, vampires, ghosts, fears, horrors within and without - if you are a lover of classic British horror stories this will draw you right in, to a world where the role of Karma and the innate natural justice of the universe collide with the frisson of beautifully engineered horror and creeping terror. I got so much pleasure from reading these stories. Each one was like an escape into another world for me and I eagerly followed the journeys of all protagonists with keen anticipation for the outcome. I love all the twists, the different characters and the variety of themes relating to the supernatural. Reading each story was like watching a film, as they're so visual. Many made my spine tingle, others made me smile at their hidden messages. I think the author did a magnificent job of creating different narrative moods and pacing the story-telling to suit the plots and I know I’ll return to these stories time and again. I highly recommend it. Tales of The Lost is the perfect book to settle down to read on a cosy dark evening! This being my first attempt at reading a short story collection, I have to say that it was a great experience! Every story is intriguing and packed with something unusual, with characters that you can live vicariously through and supernatural elements that you could never have dreamed of. There were so many myths, legends and ghost tales that were brought into this collection, and it was just great to read so many different stories about them all! I actually enjoyed the cliff-hanger feeling that each story left me with because it made me go through a rollercoaster of emotions, and culminated in a dramatic ending that made me literally go 'whoa'! Some of the longer stories could have used some more transition elements but other than that, I really enjoyed everything I read! Overall, this was a great experience for me, and I cannot wait to read more short stories! This is a collection of short stories that surprised me. They range from fantasy to contemporary time periods. Each story is in its own world. I forgot everything else with each short story I read. Not all stories do this for me, especially short stories all written by the same author. The twists in each story kept me reading and enjoying them! There were unusual supernatural stories, myths, and ghost tales. There are stories that aren't scary but were still engaging to me. They are all somewhat dark. This is a book that could introduce short stories to those who enjoy reading novels. Don't pass it by because it's a short story collection! This book surprised me. I wasn't expecting much because the blurb was a bit vague on what the stories were about. All I knew was this: 'Some are ghost stories, others are simply scary, and most have a twist in the tail. In each story, there is a character who, one way or another, feels lost.' I can honestly say that it delivered on that promise. What it contains is a number of delightfully twisted little stories, that aren't always scary, and there may have been one about time and a wish that went over my head, but were none the less fascinating and enjoyable to read. Do recommend for anyone who likes twists and a little bit of horror (at least the kind without gore). If I had any complaint about this book, it would be simply that it was not long enough for me, but then I'm greedy like that." "Some of these stories are really great! It's rare to find a book of short stories where you like them all; some were definitely stronger than others. Worth a read, particularly if you enjoy short format. £8.99 + FREE postage & packing in the UK. Overseas postage at the current rate. Ghosts, vampires and the afterlife merge with the forces of nature and symbolic archetypes in these twelve highly original stories that run the gamut from darkness and death to innocence and hope. While rooted in this world, they reach into the beyond with the mystical insight of parable and myth that touches something deep within the unconscious. The eminent composer, Alan Hovhaness, writes: "I greatly admire Richard Howard as a very fine and original writer. I cannot praise highly enough Tower Song. This I think is one of the great stories of all time and certainly should be published throughout the world. The Messenger has a quiet mysterious power and great depth. I know the difficulty to arrive at the spiritual and mental harmony which allows such poetry to flower in naturalness and spontaneous singing quality. The Temple of Lior held my attention from beginning to end. It is compelling and its symbols are of profound wisdom. Moon Prophecy is wonderful. The forces of terror and beauty are controlled. This story with its message haunts me. Mass consciousness dangers are warnings from ancient times into modern times." And the celebrated English artist, Coral Guest, writes: "Strange Tales is a portal into another reality. Each of these stories offers us an entry point into something 'other' and mirrors a particular awareness that we all possess in the depth of our psyche. Richard Howard is a unique talent who has the power to invoke this particular frequency. He is a spiritual writer, one of rare integrity, and each story is a testimony to his own insight. A book of rare truth and all-encompassing mystery." This volume also contains an autobiographical essay in which the author recounts a lifetime of strange experiences that very early on aroused his curiosity about the paranormal. "Beautifully written and most fascinating" ~ Colin Wilson. Strange Tales in Fiction and Fact by Richard Howard is a beautifully written collection of short stories that will totally captivate you. The closing essay Strange Tales in Fact ~ An Autobiographical Note is such an honest and beautiful section. I really appreciate the author giving us a glimpse into his life. I also really loved learning where some of these stories originated. What a great way to end the collection. I would highly recommend this short story collection if you like slightly mysterious tales with a strong dose of the paranormal. As I read each story, I was totally sucked in. While I didn't want many of them to end, I was also excited to dive into the next one. This collection just screams for a re-read. This is a hugely enjoyable and diverse collection of short stories, each drawing on a different aspect of otherworldly or supernatural phenomena. The author masterfully builds pace and expectation making for some truly chilling moments throughout. 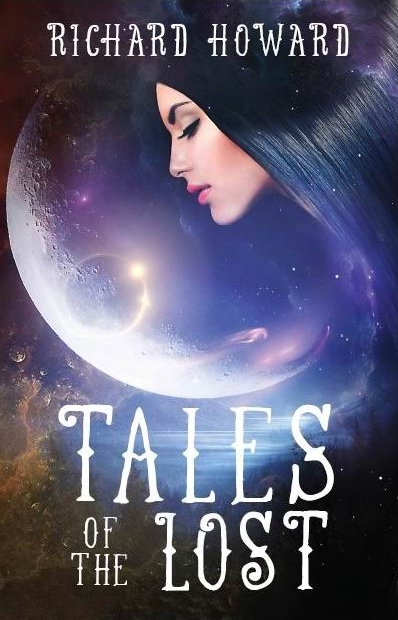 From the magical atmosphere of Stars and Crystals, to the dark currents underpinning Last Rites, each story is beautifully written, some packing quite an emotional punch with their deeper message. Howard's style of writing eschews waffle and excess padding. A few of the stories are bite-sized (a mere couple of pages is all he needs) but even the longer ones admirably cut to the action very quickly. All in all, glad to have this book in my collection ~ highly recommended, and hopeful of a volume 2. This is a brilliant collection of stories that I would recommend to anyone. 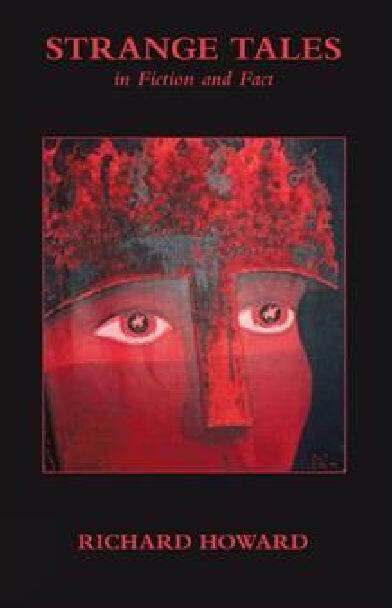 The tales delve into the collective unconscious as any good yarn should, and leave one with a lingering sense of the spiritual. Many, such as The Prisoner or The Messenger, have an allegorical element that can be related to the life of the reader. The writing style is timeless and I predict that people will still be reading them many years from now. Strange Tales in Fact: An autobiographical essay recounting a lifetime of the author’s own strange experiences.